Royle Care prides itself on a team that delivers a quality service, when a new member of the team joins us they are personally interviewed, asked to provide references and have their criminal record checked. If you have not worked in care before you can still apply to join our team. All Care Workers joining Royle Care receive comprehensive induction training and regular update training. Once you have passed you probation you will be offered the opportunity to study towards QCF care qualifications. To work as part of a friendly and supportive care team at Royle Care it is essential that you are kind, caring, compassionate and want to make a difference to peoples’ lives. We have vacancies for male and female Care Workers to provide care and assistance to clients in their own home. Applicants should preferably have a full driving licence and access to a car for work, however, we have a few vacancies for non drivers. 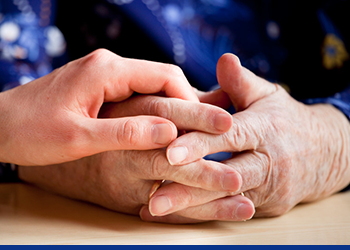 Although previous experience of domiciliary care would be preferable it is not essential as full training and monitoring will be provided through induction, on-going training, monitoring and reviews to ensure that our high standards are maintained and the care provided to our clients meets all of their needs. positioning and movement of immobile clients. Let Royle Care help you to progress your career; we offer opportunities to attend specialised training courses, and when you have successfully completed your probationary period we will support you through your QCF. At Royle Care we think it’s important to develop and progress our staff in their career, that’s why we pay you to attend any training courses that might be suitable to your position.